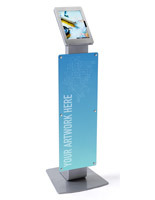 Run or operate a trade show booth and looking for effective ways to engage visitors. 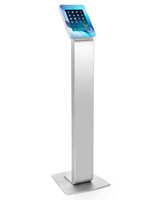 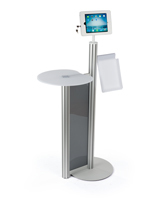 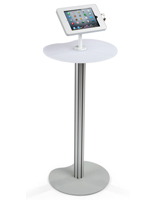 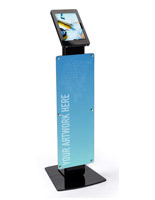 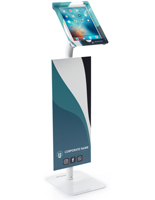 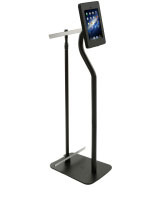 An iPad stand with attachments offers multiple ways to keep visitors interested. 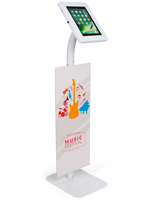 Reel people in with and eye-catching poster or a magazine and brochure offering, then sell them on a specific product with a specially designed slide-show, video or interactive app experience. 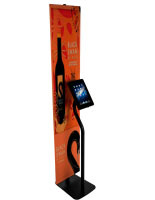 While iPad stands are an excellent marketing tool, so many retailers and trade show vendors are using them now that anything extra to engage people is a huge help. 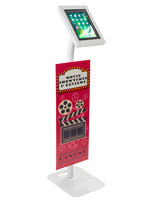 A multi-faceted approach with literature pockets or a poster stand can add that extra push to get customers to engage with custom-tailored slideshows and content. 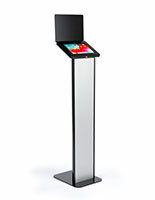 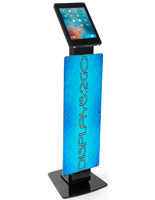 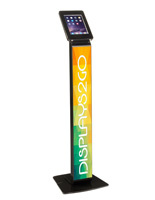 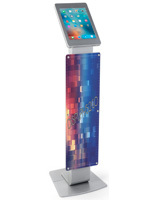 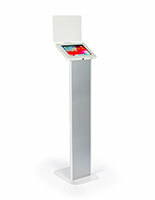 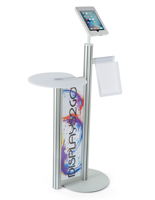 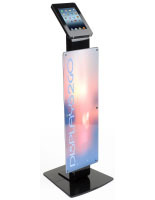 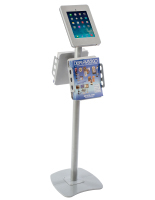 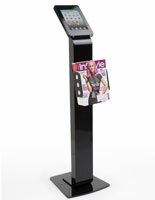 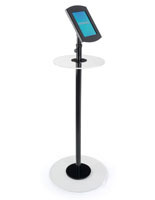 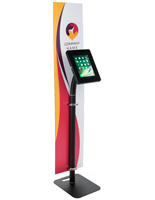 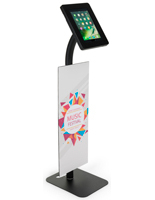 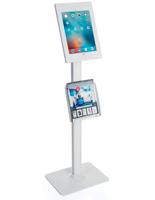 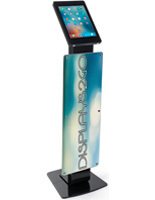 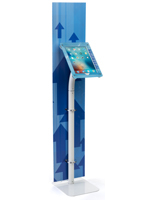 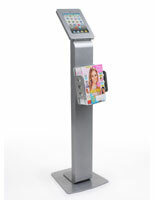 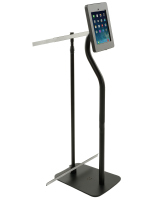 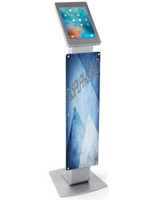 What are some effectives methods retailers are using with accessorizable iPad stands to engage customers? 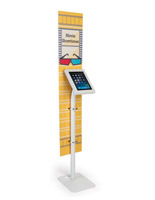 Many stores are setting up stands as visual catalogs. 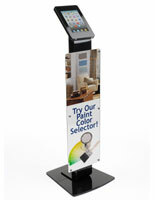 Instead of searching through shelves or clothes racks, customers can browse through a gallery of products to see what they like. 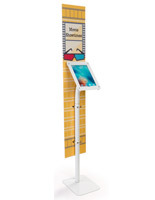 Or how about at an electronics store? 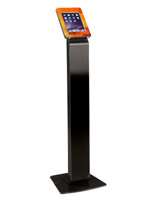 Many expensive products, like TVs or speakers, have a lot of technical information that customers may be curious about. 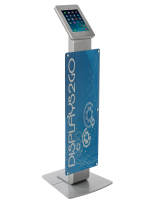 Allow them to look up a model number and then read all the specific statistics about a product. 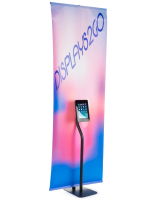 At trade shows, many companies are giving away promotional materials. 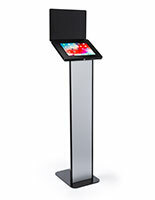 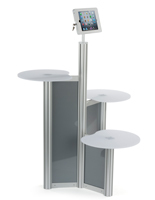 Instead of having an iPad kiosk separate from a literature stand, why not simply combine the two? 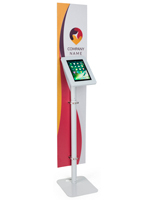 Branding is also one of the most important things at a trade show, and often one of the most important aspects. 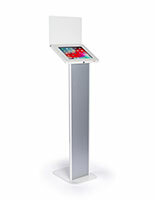 Companies should use every opportunity possible and add a poster to the front of the iPad stand with accessories. 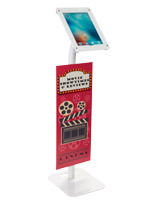 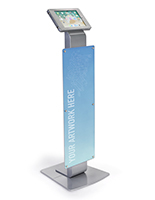 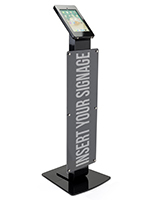 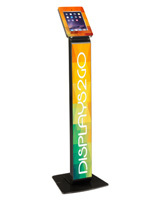 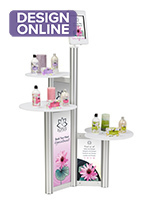 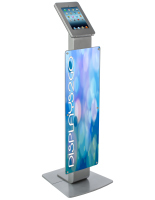 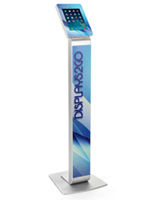 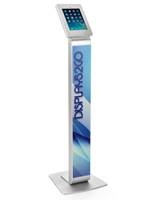 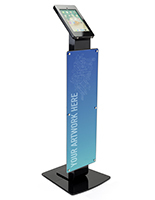 These accessorizable stands offer plenty of additional marketing opportunities.